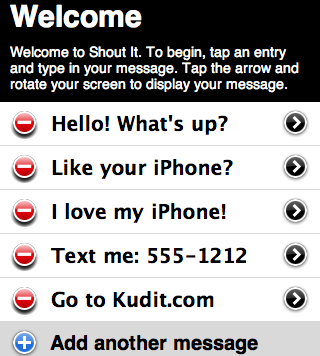 Not just social networking, it's local networking with Shout It!! If you're in a loud room or you wanna a super-chic way of saying "Hey" to that stranger across the room, why not use your iPhone? You write the message and watch as heads turn to see your message scrolling across your iPhone. Don't say it, shout it!